Experienced food photographers are often called upon for unique projects by unexpected product clients, such as manufacturers of barbecues. The client wanted me to showcase how their barbecue could be used to prepare delectable food. 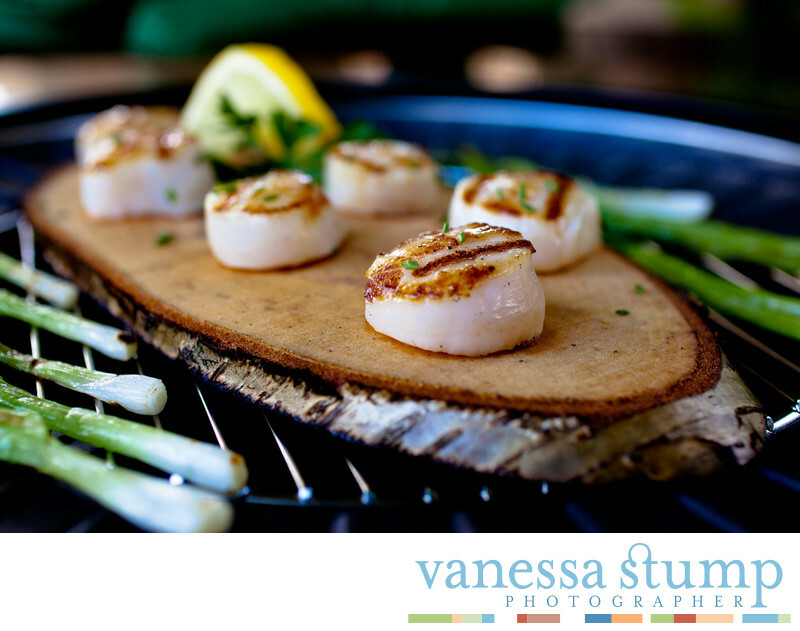 The stylist worked with the client to come up with scallops on a wood plank, with hints of the barbecue showing underneath. The end result was delightful to the eye and showed potential buyers of the barbecue how yummy their world might become after purchase of this great cooking product.